Product prices and availability are accurate as of 2019-04-20 21:22:24 EDT and are subject to change. Any price and availability information displayed on http://www.amazon.com/ at the time of purchase will apply to the purchase of this product. 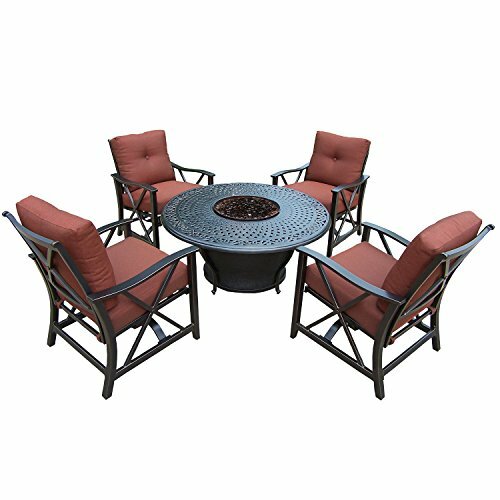 The Oakland Gas fire pit Table and Deep Seat Rocking Chairs Chat Set collection combines glowing warm designs and comfortable functionalities, giving you a rich and cozy addition to any outdoor setting. 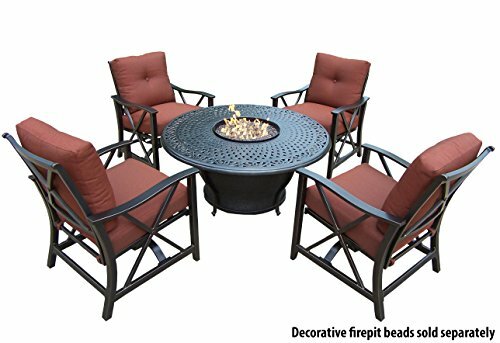 Durable and peaceful, the Charleston Gas fire pit Chat Set Collection combines rustic style with modern functionality to create conversation pieces that will bring comfort and a welcoming atmosphere to your home and patio. 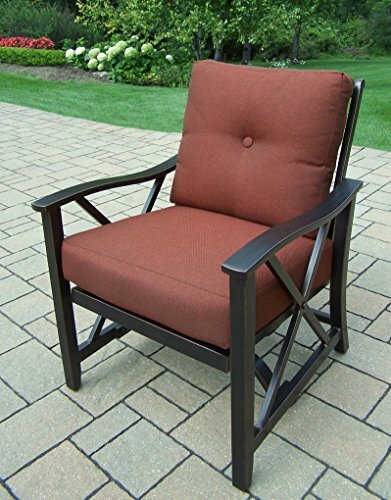 High quality 8 inch plus thick cushions cover the chair seats and backs ensuring your family and friends can comfortably sit around the fire pit all evening. 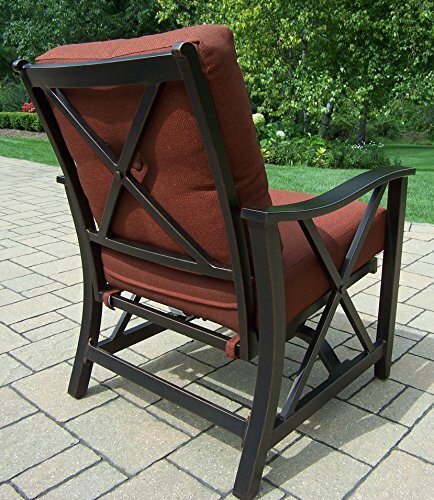 The rocking Chairs feature aged brown color aluminum frames with unique and simplified style. The Table base has a door, which makes installing the propane gas tank very easy (Propane tank is not included). 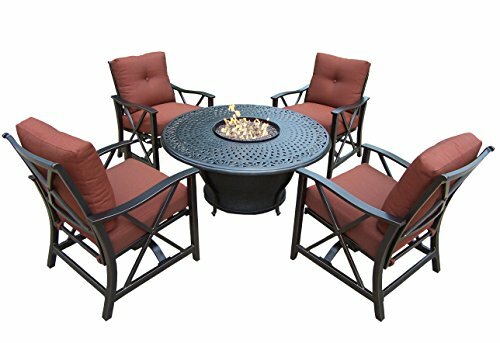 With a multi-steps finish and high grade materials, the gas fire pit table and rocking chair set collection becomes a very durable, decorative, and enjoyable addition to the backyard or patio. 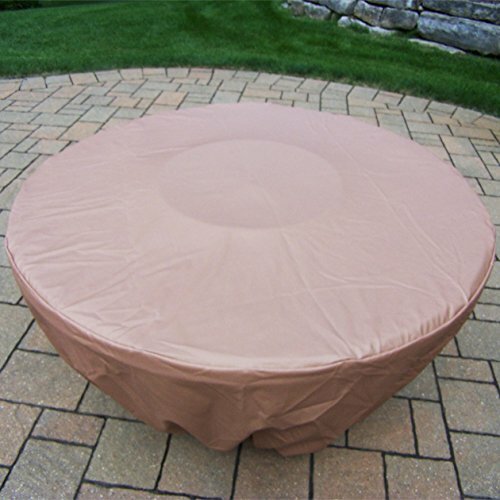 This set includes a 48x24 inch round fire pit Table with cast aluminum top and pre-installed gas burning system, 4 Rust-resistant aluminum framed Rocking Chairs with seats and back cushions, and a weather cover for the fire pit table (The glass beads are not included).